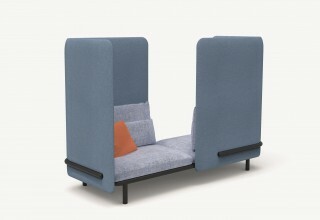 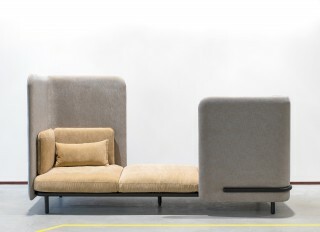 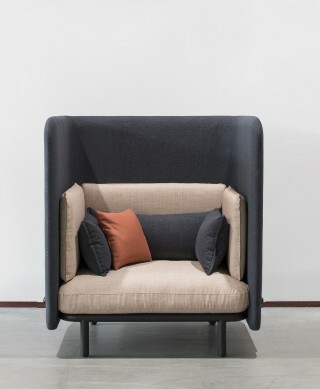 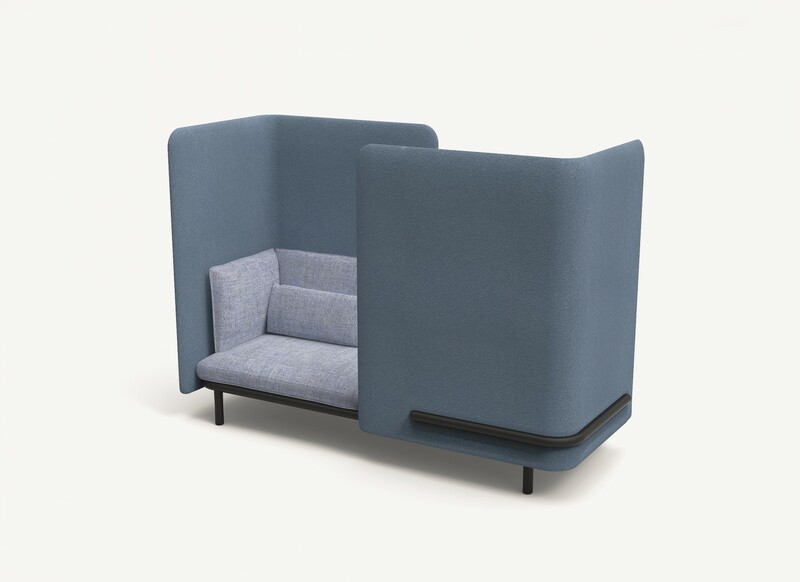 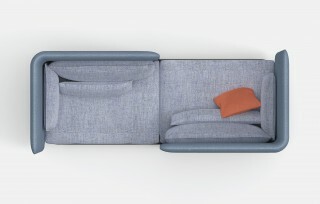 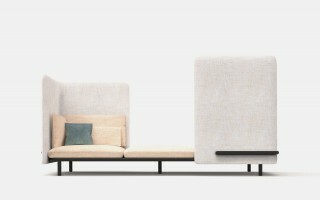 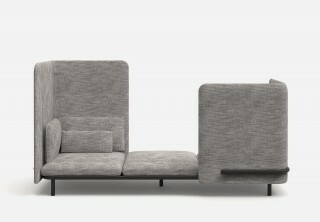 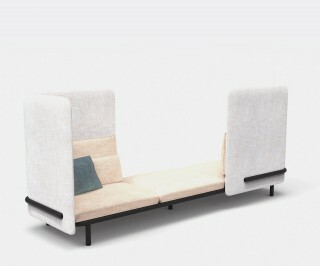 The Spark sofa is a comfortable and homey sofa that offers visual and sound protection to its users. 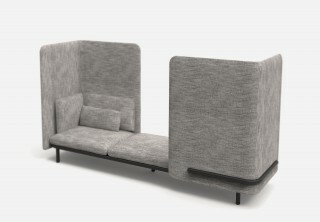 This protection is conceived as an added shield that creates a barrier and can be placed on any corner of the sofa. 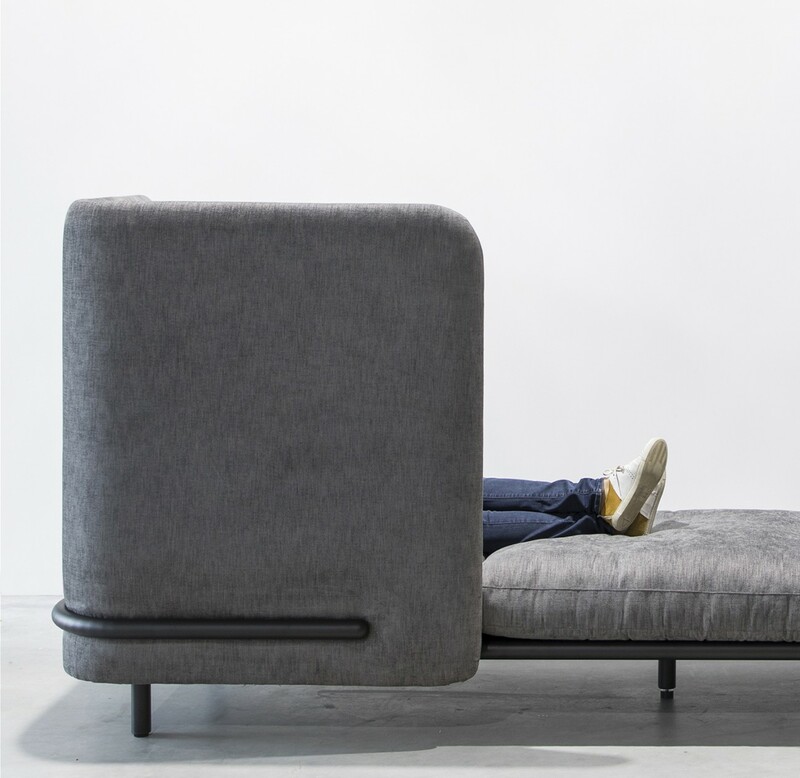 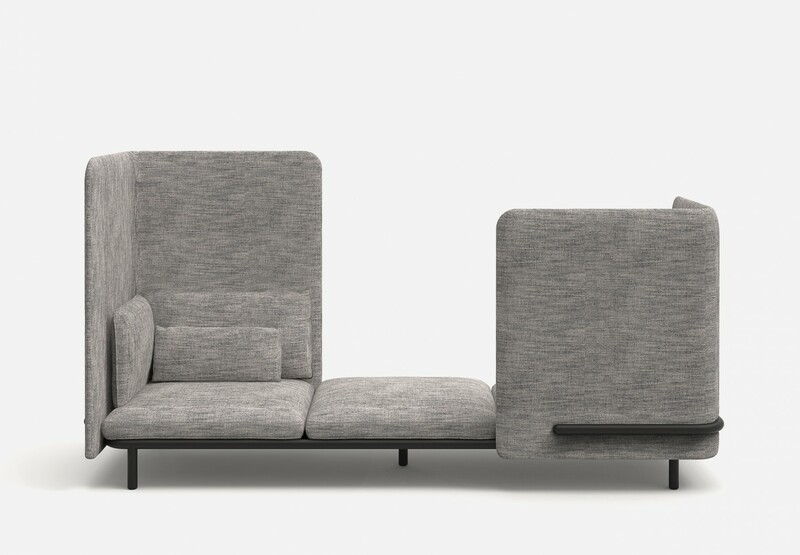 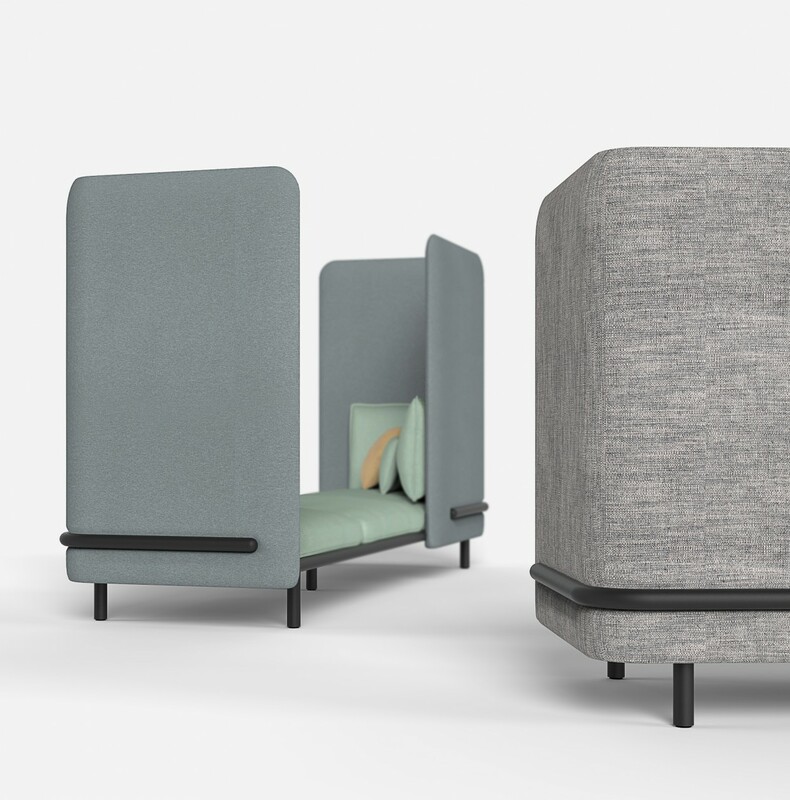 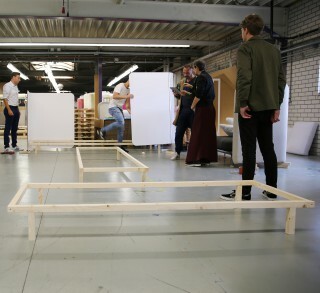 Depending on the height and placement of the shield, the sofa will either become more of a room-within-a-room, acting almost as a love seat, or just be a plain normal sofa. 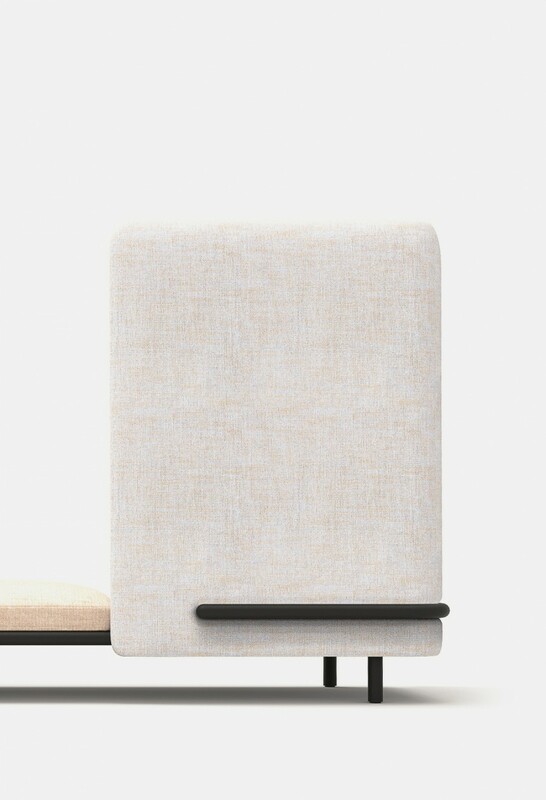 So in a way, these corner shields that can be placed on all corners determine the classification of the seat! 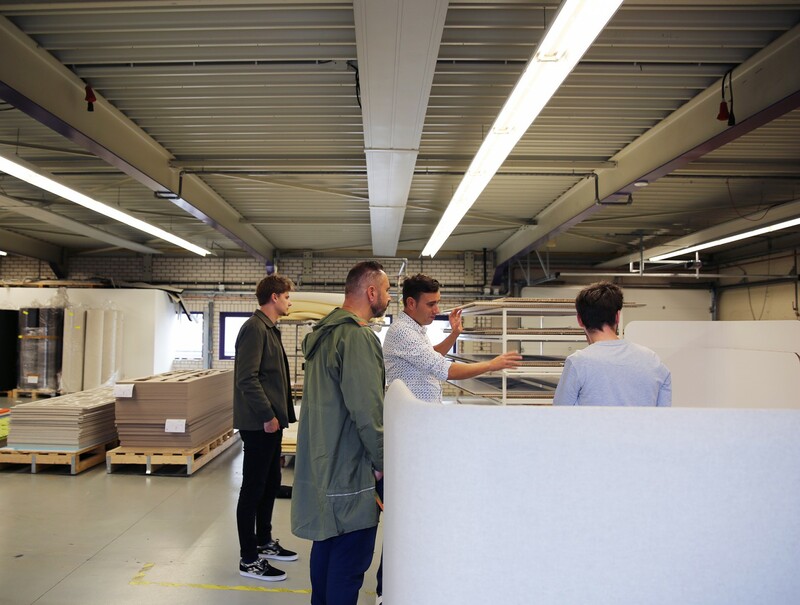 The side panels that act as “shields” were designed as structural protection, so depending on the requirements in the space they can either be higher or wider thus offering lots of possibilities to architects when defining their own space. 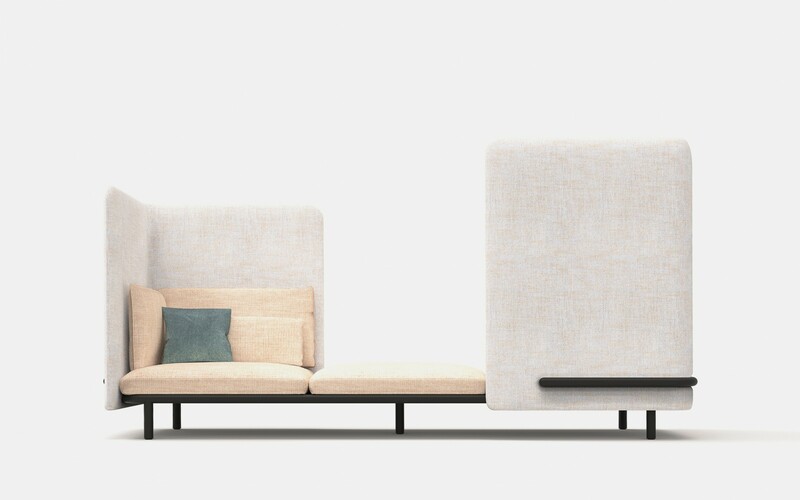 These side panels were created as if they were add-ons and this perception is reinforced by the large rounded extra corners. 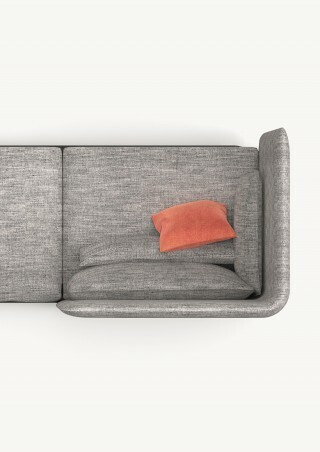 The inner side of the sofa has been conceived in order to make one feel comfortable and almost at home. 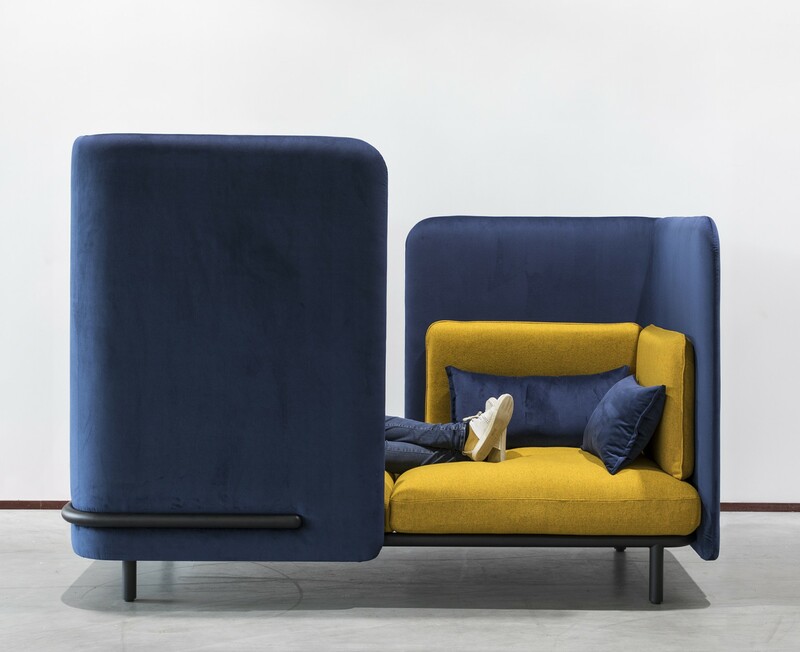 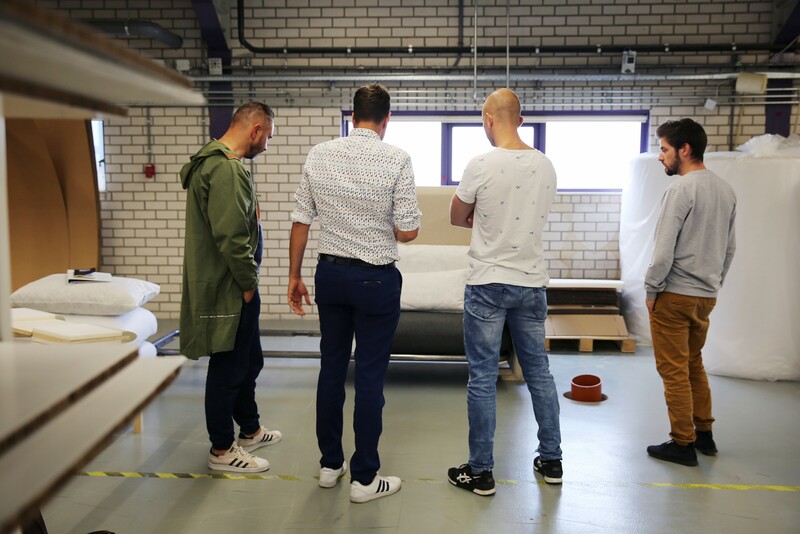 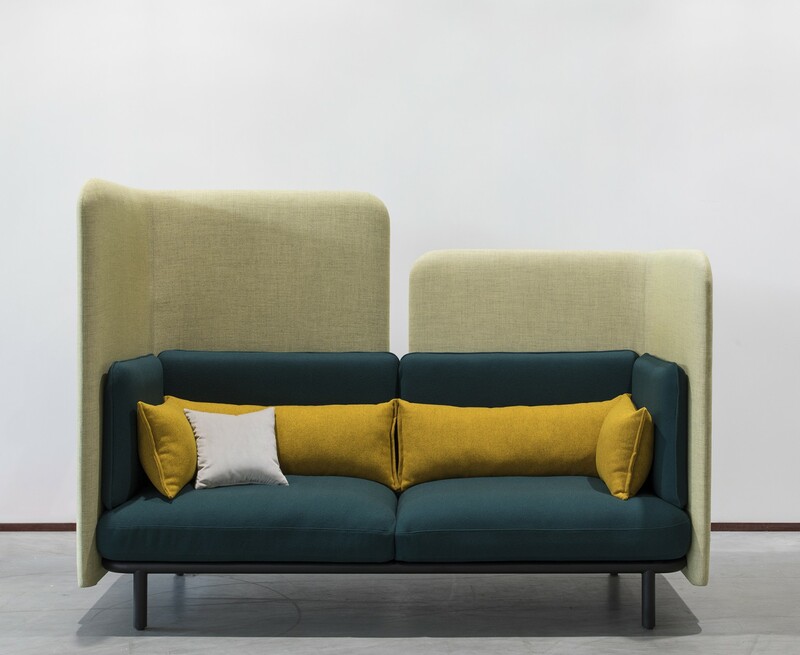 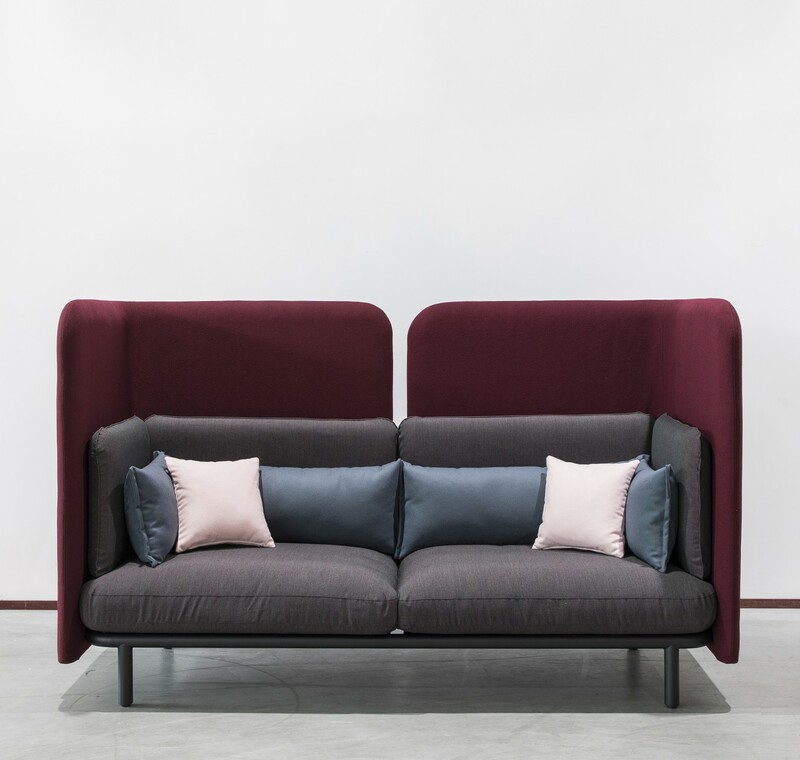 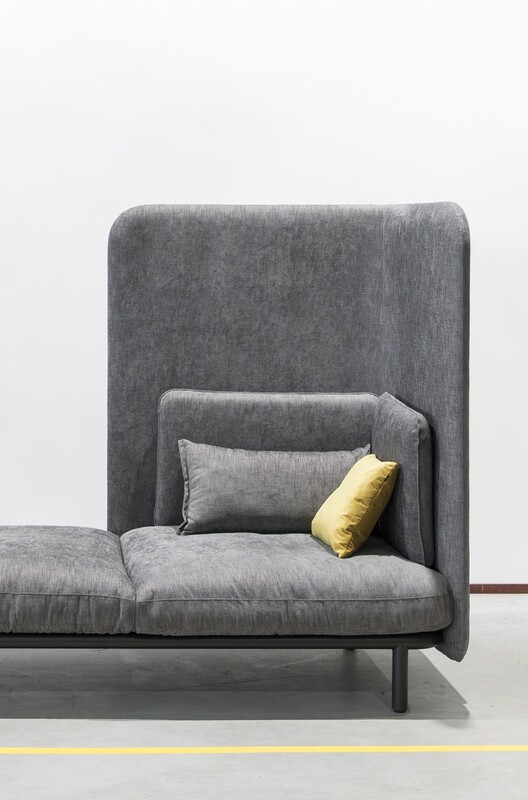 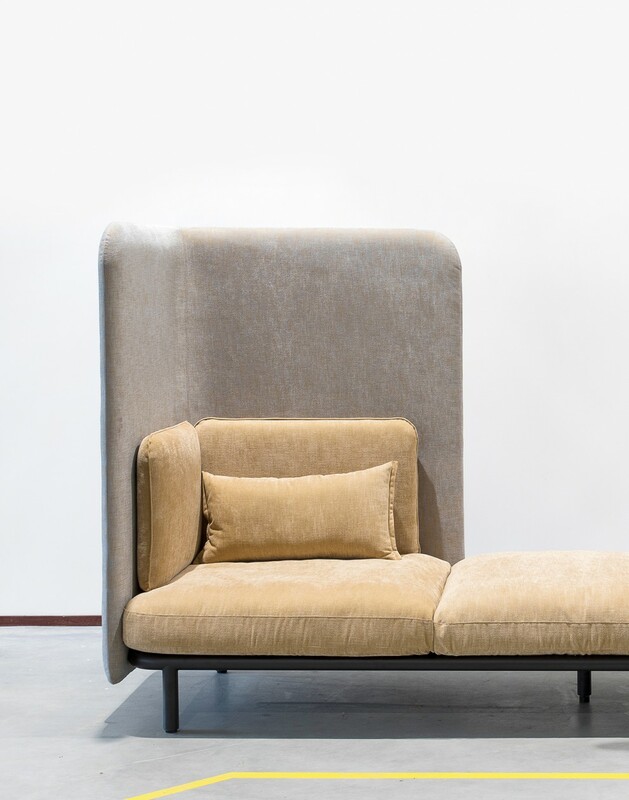 The sofa can either be created using matching shades or by creating material and colour opposition between the inner side and the protective structure. 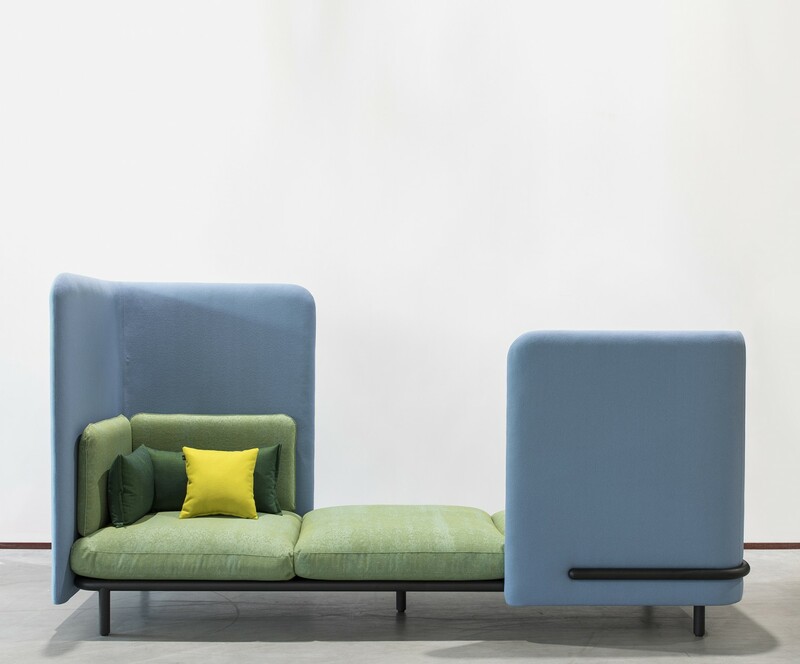 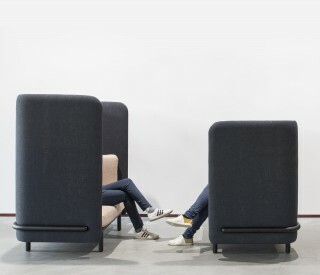 As far as the “love seat” is concerned, it is all about creating new ways to engage with people in the office, without causing conflict. 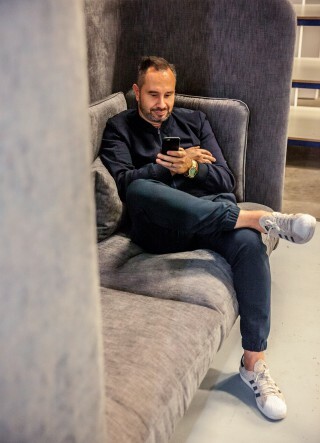 It is about creating new dynamics. 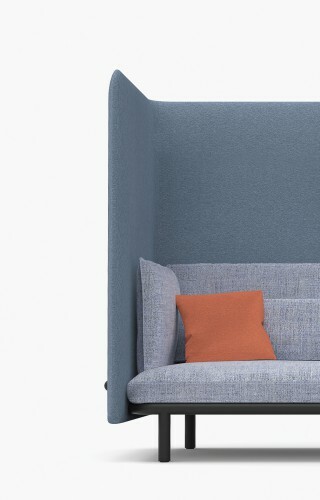 Materials: Powder coated metal; Fabric on demand.